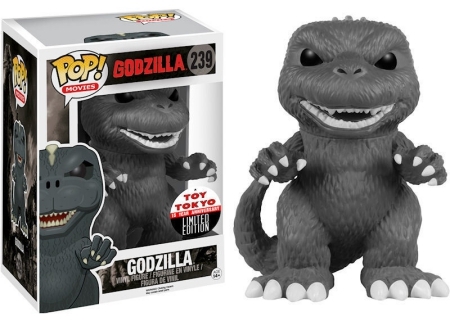 The king of monsters takes center stage with Funko Pop Godzilla. The Pop! Movies release features multiple choices for the iconic sea creature, including several exclusives and even a few figures celebrating the 15th anniversary of the 1998 film. 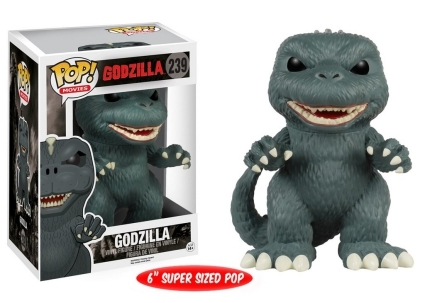 Not surprising, each Funko Pop Godzilla option is offered as a 6" Super-Sized Pop! 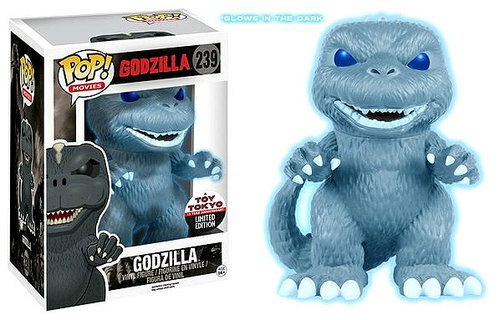 Aside from the primary figure, the lineup includes the Godzilla glow-in-the-dark variant from PX Previews, which draws attention to the beast's atomic breath. Meanwhile, the Burning Godzilla edition is black and red, and exclusive to GTS Distribution. Order Funko Godzilla Figures on Entertainment Earth. In addition, Toy Tokyo issued two exclusives at the 2015 New York Comic Con honoring the 1998 Godzilla cinematic release. 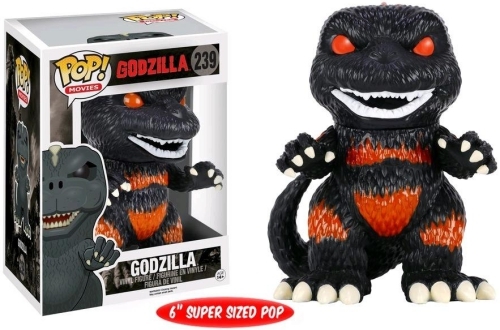 Among these is the black-and-white Godzilla, which is really not much different from the main coloring except the inside of the mouth is dark gray rather than red. 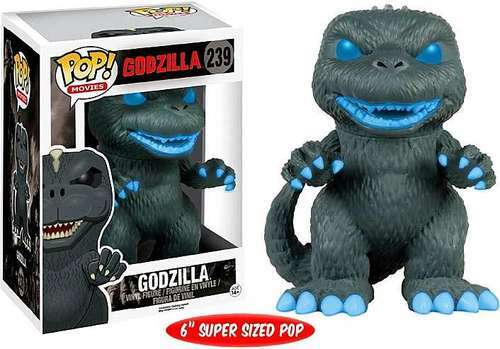 The second NYCC 2015 exclusive in Funko Pop Godzilla is the infamous Godzilla Ghost. This Pop! version also glows in the dark. FUNKO BAM EXCLUSIVE GODZILLA 6" POP VINYL FIGURE MIB! Funko Pop! Godzilla: Atomic Breath Godzilla Glow-in-The-Dark Vinyl Figure, 6"
Click on the images or listings to shop for figures on Amazon or eBay. Go deeper into the Funko Godzilla figures using our other detailed guides.